Here at St Quentin Dental, we aim to restore your teeth back to their ideal natural state. We source and use only the best biologically sound materials to achieve optimal aesthetics, function and wellbeing. Ideally, we aim to mimic healthy, natural, white teeth when performing any dental restoration. A Dental implant is a predictable and long lasting way to replace a single missing tooth or multiple missing teeth. Dental implants can be used to stabilise loose dentures or even allow patients who have existing dentures to be given a new set of fixed teeth. Dental Implants can often offer patients natural-looking and healthy teeth. Fillings nowadays are white or tooth-coloured that are usually made of composite resin. Fillings are used to treat tooth decay, improve the aesthetics of your teeth and can be used to reshape disfigured teeth while removing as little as tooth structure as possible. Composite Resin is a non-metal material that can be bonded to your tooth allowing us to preserve as much of your original tooth structure as possible. More so, white fillings are the most popular form of filling as the resin can be matched almost exactly to your tooth colour. Here at St Quentin, we have been making these restorations for well over 10 years with excellent outcomes. Dental Amalgam is one of the oldest types of filling material in dentistry. In recent times the composition of the amalgam alloy has been refined. Amalgam is still one of the most durable direct filling materials available in dentistry. Dental restorations made from amalgam are quite safe, are long lasting and still have a place in modern dental practice. Sometimes a large part of a tooth requires to be mended, especially when there is much tooth decay or there has previously been a large filling in place. Ceramic restorations are used to strengthen weaker parts of teeth and provide a smooth and well-shaped contour for the tooth. The material is tooth coloured to blend in with the existing colour of your tooth. Cast gold restorations have been used for decades, as they are one of the most durable and long lasting restorations and they will not break or fracture, if properly prepared. Gold is used in restorative dentistry as it supports and protects the enamel of the teeth and can provide precise anatomical form of the tooth. Gold cast restorations are used mainly in the posterior of the mouth, where they cannot be seen. The preparation for these restorations are one of the most technically demanding procedures. Whilst we recognise the superior properties of gold, we must balance its use with the aesthetic requirements our patients prefer. Porcelain crowns are used to strengthen teeth that have been severely damaged by tooth decay or have large fractures. Crowns are also used to mask teeth that are badly stained and discoloured and are often used to anchor other dental implants such as a dental bridge. Crowns are usually made of porcelain which looks and functions like a natural tooth and usually placed over the damaged tooth or will be supported by a platinum implant. The colour of your crown will be matched with the rest of your teeth which means it will go undetected amid the rest of your teeth and is one of the most aesthetically pleasing restorations. Bridgework is used when a missing tooth or teeth needs to be replaced. A bridge is made of two crowns that are joined (or bridged together) by one or more false teeth. 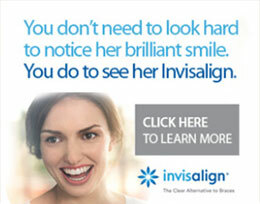 The bridge is anchored to the crowns or surrounding teeth. Bridges are usually made of porcelain or ceramic materials so they can mimic the aesthetics and functionality of your natural teeth. Although this is an excellent way in which to replace missing teeth, today we have the option of using a dental implants to replace a missing tooth leaving the adjacent teeth healthy and untouched. A full mouth reconstruction will generally involve a combination of general and cosmetic procedures, customised to suit your situation and budget. This is typically used in cases that require more than one procedure. This may include a combination of; veneers, bridges, crowns and endodontic treatments. Your tailored treatment plan will be discussed with you and agreed upon during an initial consultation, which will be used to plan out the procedure and allow you the opportunity to ask any questions or discuss any alternatives. Have lost teeth due to accidents or tooth decay. Have injured or fractured teeth. Have lost a tooth from gum disease. Experience enamel loss from acid erosion. Experience jaw and muscular pain. Once you have undergone a restoration at our practice, it is equally important to maintain it. The following methods are best to keep future appointments quick, simply and not expensive! 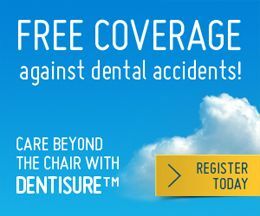 Contact St. Quentin Dental Today!